Yeah, we’re not kidding, there is dangerous sushi out there! Learn more in our lifestyle newspaper! 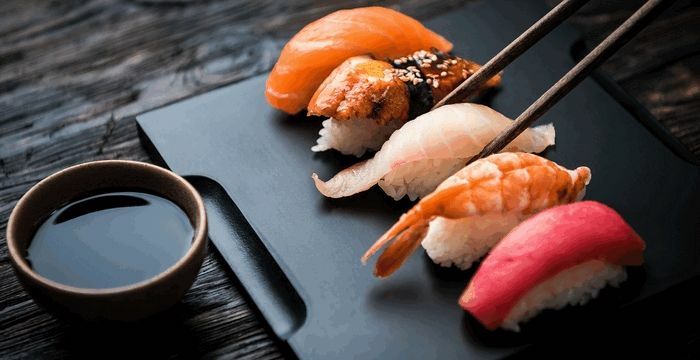 Sushi is probably one of the most famous meals over the world. It came to us from Japan and captured our hearts or rather our stomachs. There is the popular opinion that Japanese cuisine is the most healthy and dietary one. But there are some pitfalls in this judgment. The country of the rising sun is really does not have the problem of obesity of it’s nation. Moreover, there are many long-livers. But these facts are due to their way of life, the way they eat and many other factors that distinguish this country and its people from everyone else. However, sushi is not the main dish in Japan. There is even a problem to find it in the menu of Japanese restaurants. So, as you understand, we don’t know the whole truth about sushi. Let’s find it together! ← Your Fridge Has Some Dirty Secrets!